I caved in, I didnt think I'd be going with the metallic trend coz I think metallic polishes make my hands look pudgy (vain? moi? 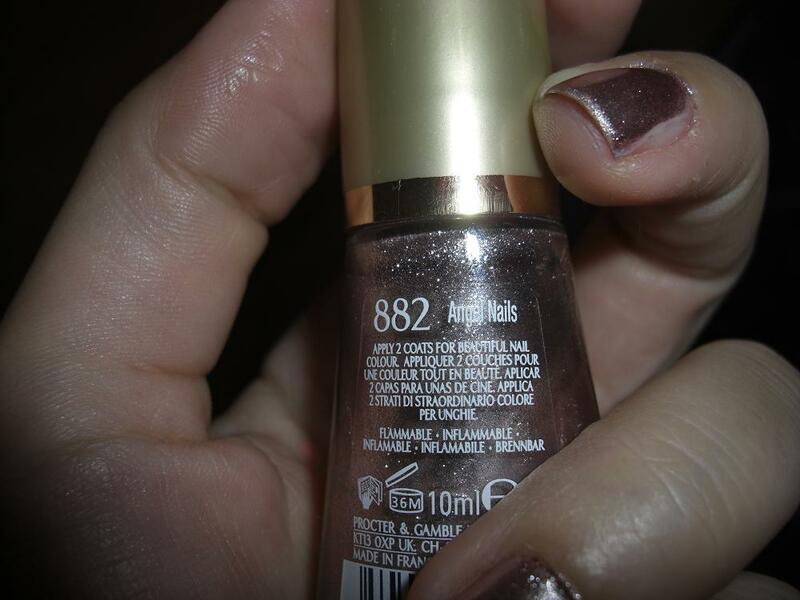 ), but I finally found a metallic that I like. 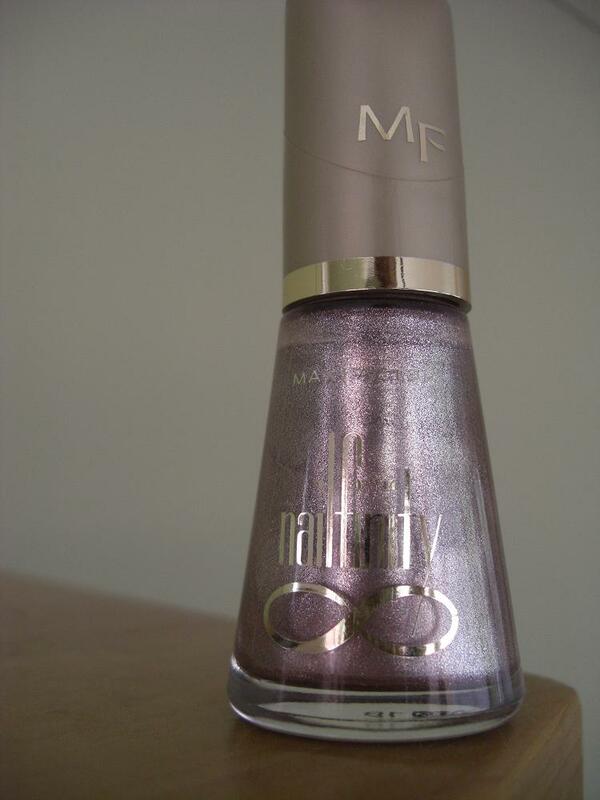 Plus I'm going back to work today after the hols and I really wanted a colour to bling up the non-glam corporate world... this lovely metallic called Angel Nails by Max Factor fit the bill. It's not gold and not silver, it's a bit like rosey gold with a tinge of silver if that makes sense! no flash - very blingy, but still somewhat tame for the office. As I've only worn it since yesterday I can't really say how long they'll last, but it took forever to dry which leads me to think it might stick on the nails for a long time too. 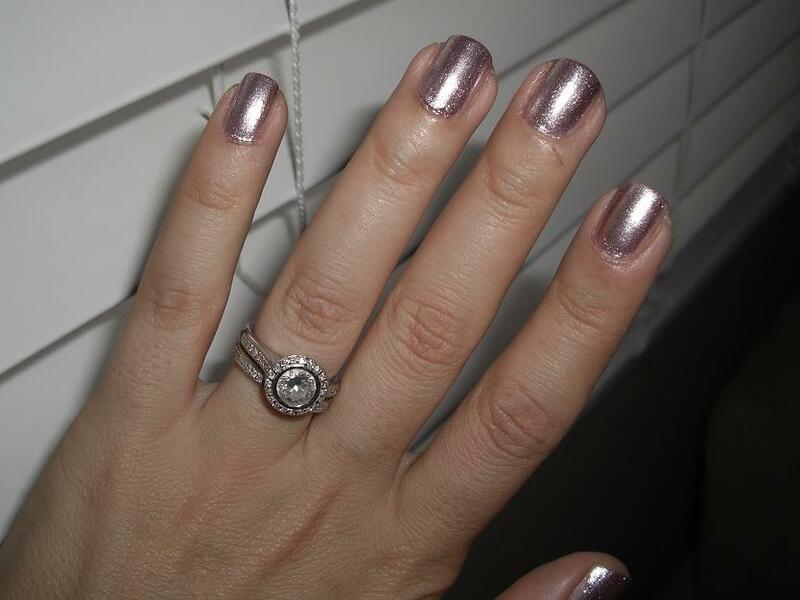 Do you do metallic nails? Any that you like? This is a really pretty color! I love sparkly greys! what a beautiful color! Is in the silver a litle bit rose color? I´ve never seen a color like that. I´ve never thought that I like metallic nails, but there are so great for a nightout and summer days! And of course for the office! 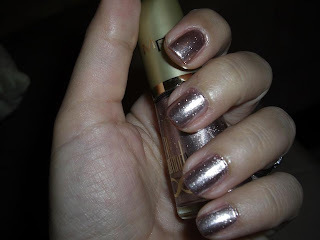 I love the look of metallic nails, but I rarely wear metallic polishes because the formula of most of them just peels right off my nails. 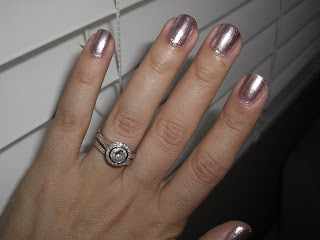 @Andree - no problems, i love reading beauty blogs! @Danni - thanks darl, and coz it's max factor it's quite affordable. @Dee - so far so good, this one seems the type to last ages but i'll give you my update at the end of the week.